Sunday 10am-9pm, Monday-Thursday 11:30am-9pm, Friday and Saturday 11:30am-10pm. Bar open later! 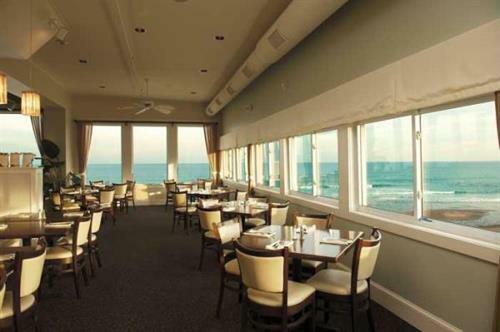 Located directly over the ocean on Salisbury Beach, Seaglass puts a distinctive spin on fresh fish, steaks, and seafood. Seasonally-inspired cuisine celebrates fresh local ingredients and artful culinary presentations. 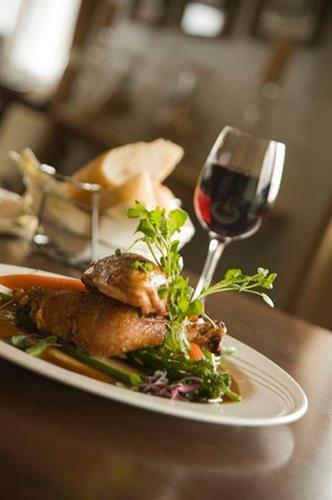 Innovative signature dishes celebrate the myriad ways traditional cuisine can be prepared and enjoyed, and takes full advantage of the freshest seafood on the North coast, bountiful local ingredients and 100% prime meats. 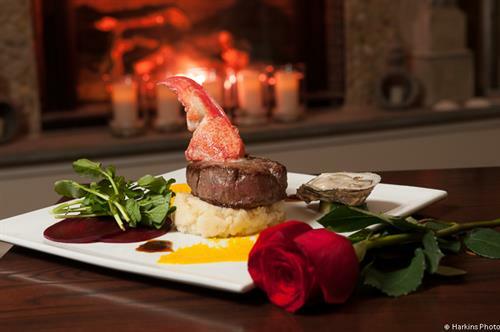 Signature dishes include the Seaglass Pan Seared Jumbo Lump Crab Cake, creamy New England Clam Chowder, Mussels, Shrimp Scampi, Scallop Risotto, North Atlantic Haddock, Filet Mignon and a wide selection of fresh fish with the guest’s choice of preparation and sauces. 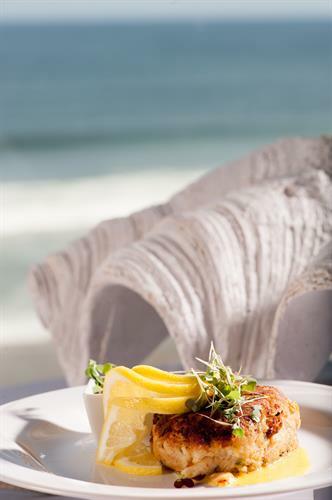 The casual yet elegant coastal atmosphere of Seaglass offers unmatched panoramic views of the Atlantic Ocean, setting Seaglass apart from other dining establishments in the region. 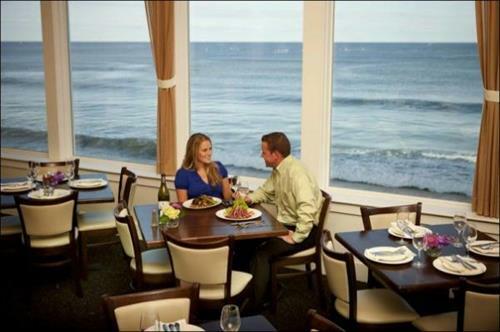 The relaxing dining room offers banquette seating, fireside dining, and tables literally over the ocean. The contemporary Seaglass bar and lounge offers seasonal signature cocktails, an extensive global wine list, friendly bartenders, compelling mid-week promotions, and piano & vocals on Friday's. Saturday live bands & dancing 7:30-10:30pm. Sunday Brunch by the Sea weekly10am-2pm includes omelet and carving stations, hot entrees, salad and dessert bars, shrimp cocktail and more. September through May dining promotions are: Monday--$9.99 Haddock, Tuesday--$5 Burgers, Wednesday--$5 Champagne + $1 Oysters & Clams, Thurs & Friday--$5 Martinis and Small Plates. Sign up to receive special event emails. 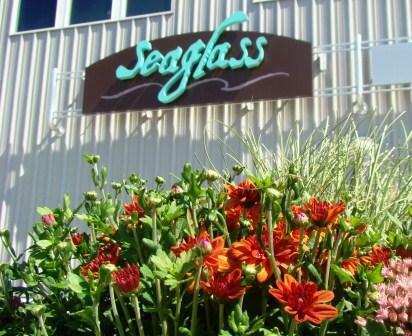 Seaglass Restaurant is located directly over the ocean on Salisbury Beach. Tables have panoramic ocean views. Scallops Risotto is one of Chef Harley's signature entrees. 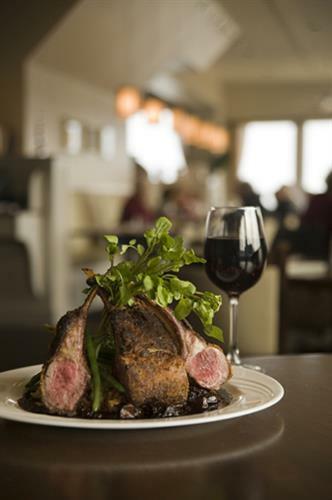 From Filet Mignon to NY Sirloin and Pork Porterhouse, the Seaglass menu features 100% prime meats. The Seaglass Pan Seared Jumbo Lump Crab Cake is a guest favorite and one of our most popular appetizers. Duck Breast, Chicken, and Vegetarian items are part of the Seaglass menu mix. Along the front windows, tables are literally over the ocean. 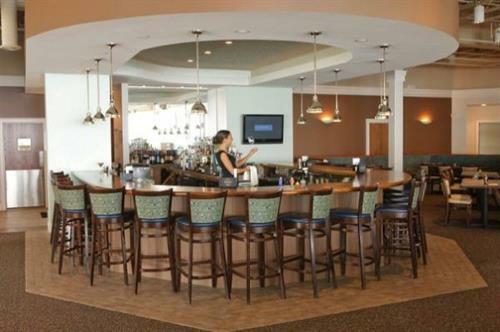 The contemporary u-shaped Seaglass bar and lounge offers signature cocktails, friendly bartenders and mid-week promotions including $5 Champagne and $1 oysters and clams on Wednesday evenings from September through May. 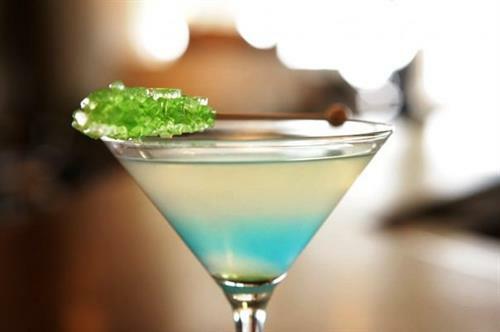 The Seaglass Signature Martini served with aqua-colored rock candy. Tuesday is $5 Burger Night, September through May. 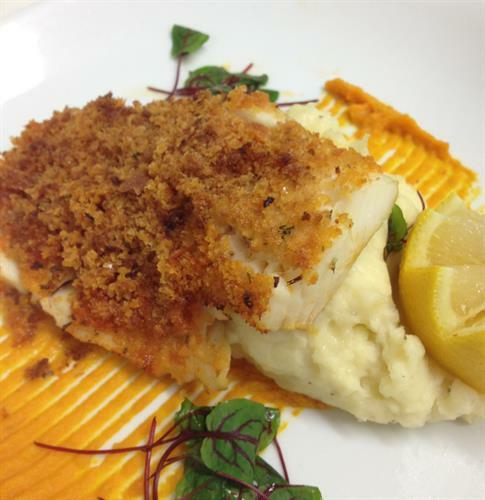 Monday Night's offer North Atlantic Baked Haddock for $9.99. 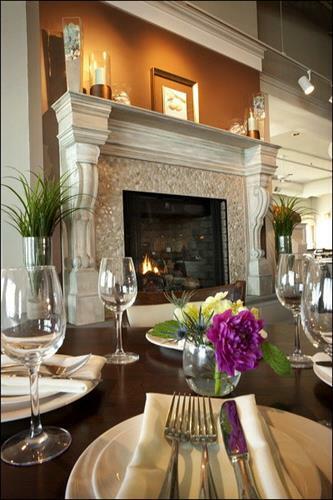 An elegant stone fireplace is a focal point in the relaxed "beach chic" dining room. Sweet endings! 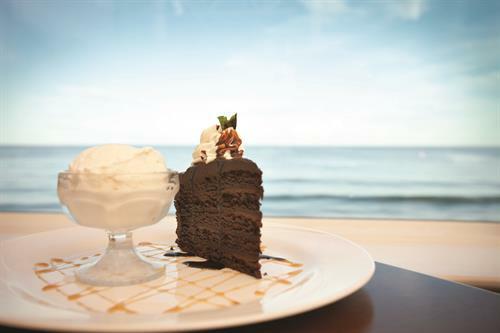 Layered Chocolate Ganache cake is served with chocolate and caramel sauces, vanilla ice cream and a fresh strawberry. 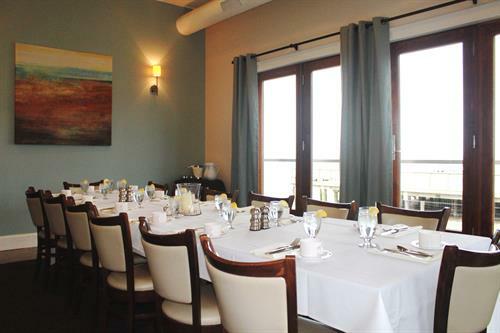 The Seaglass Private Dining Room, also with ocean views, accommodates up to 20 guests for private dinners, celebrations and meetings.